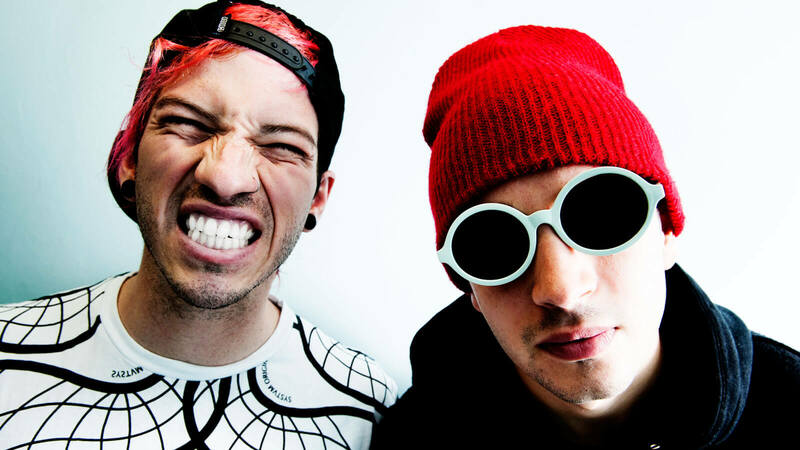 Twenty One Pilots Share New Songs And Announce World Tour - GENRE IS DEAD! This time last year, Twenty One Pilots revealed they would be going on hiatus. A few months ago they broke their silence and began posting cryptic teasers hinting at new music. Several billboards were also spotted around certain parts of London and Toronto last week showing off the band’s new look. Now, the band is officially back! They shared their new singles “Jumpsuit” and “Nico and the Niners.” The former is paired with an unsettling music video starring frontman Tyler Joeseph in some surreal situations. One features him singing on the hood of a burning car while the other finds him standing in a stream while confronting a mysterious hooded person. Check out the new songs below. The tracks come from the band’s upcoming fifth album, Trench, out October 5 via Fuel By Ramen. In addition, Twenty One Pilots will also embark on a world tour in support of the new release. Shows kick off October 16 in Nashville, TN with the North American leg wrapping up November 21 in Kansas City, MO. They will then kick off the European leg December 7 in Perth, AU. The tour concludes in Lisbon, PT on March 17. Check out all tour dates below. Fans can register to get first access tickets here. Lucky fans will know if they have been selected as part of the fan ticket opportunity on Monday, Jul 16. Pre-registration tickets will go on sale Tuesday, July 17 at 10 AM local time with your personal access code. Remaining tickets will go on sale to the general public on Friday, July 20 at 10 AM local time. Pingback:GENRE IS DEAD's Releases Of The Week: Twenty One Pilots, Childish Gambino, Crossfaith and more! - GENRE IS DEAD!